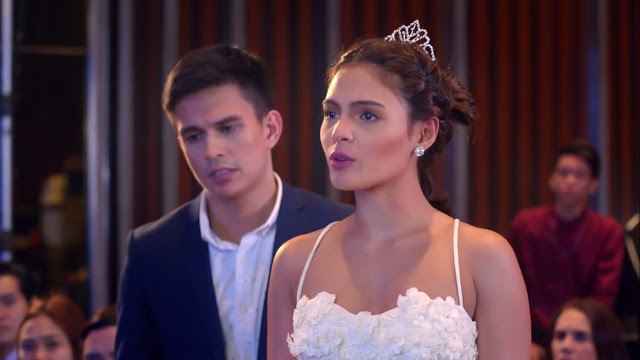 Erich Gonzales, Tom Rodriguez and Lovi Poe cross paths in a tale of betrayal and lust with this The Significant Other review. I’m mildly amused with this film, so as I write this The Significant Other review, I can’t help but get these mixed emotions. The movie’s brave with the topic of choice. A bit “gasgas” with so many films that’s been released in the past two years alone but has a nice take to it. Erich plays Nicole, an up-and-coming model who has issues with her mom while Tom and Lovi play Edward and Maxene respectively; a plastic surgeon and a former model who are going through a rather rough patch with their secret marriage. It’s in this timeframe that Edward meets Nicole and they begin a steamy relationship which doesn’t end well for either of them. Oh and did I mention that Maxene and Nicole hit it off as friends and main headliners for their modeling agency? The story is a bit weak IMHO. It could do a few more tweaks because it greatly affected the screenplay. Had they made a tighter story, this would have been way, way better than all the other “kabit movies” that have come and gone. Still, with the current output, it definitely has a niche following AND is serviceable. IMHO again, i’d have changed a few things here and there, made a few adjustments to the lines and moved a few scenes around. Erich Gonzales once again proves that she’s definitely a force to be reckoned with. I found her performance in Siargao to be good and now she’s doing it again for me in this Significant Other review. My only minor gripe here is that she needs more work with those love scenes. I dunno, it doesn’t pack the sexuality it needs to make the scene effective. This is where Lovi Poe‘s strength lies. She’s become so adept at doing “racy” scenes, that’s it become natural for her to act out on those celluloid carnal moments. For this movie? Well let’s just say that she has her moments, and there’s a ton of those. Whether its those scenes where she seduces her husband or those scenes where she’s confronting her husband’s “kabit”, this lady is fierce… but she still needs more improvement in her acting chops. A bit more fine tuning actually. Tom Rodriguez acts good but AND nails down the douchebag fuccboi perfectly. He doesn’t have the gravitas to bring in so much pain but he does help build up the story. The “love scenes” were nicely done, tastefully done actually. It was good that they gave the supporting cast their own moments to shine including Dina Bonnevie and Snooky Serna. The “viral” sampalan was just OK. I’ve seen better but its overhyped. Lastly, the ending was a “meh” for me. This movie could have been better but at the state it was, I think its still good. Worth the ticket price? I’d say yes, but that’s if you just want to be entertained. If you’re looking for mind-blowing acting, this isn’t the cake you’re looking for. Still, great star power and passable plot and script.